Snow days are no problem when you have a golf cart with a snow plow attachment. Clear your driveways and other snowed-in areas that may be tough to reach with a large truck plow. These plows are durable and dependable, with the ability to handle many snow-clearing situations. 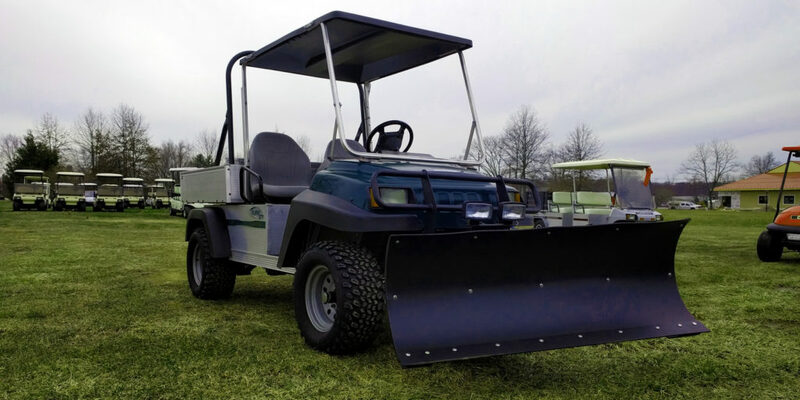 Our golf cart snow plows allow you to have year round versatility with your utility cart. Use it for work and maintenance in the summer, with the option for great convenience when the snow hits in the winter. 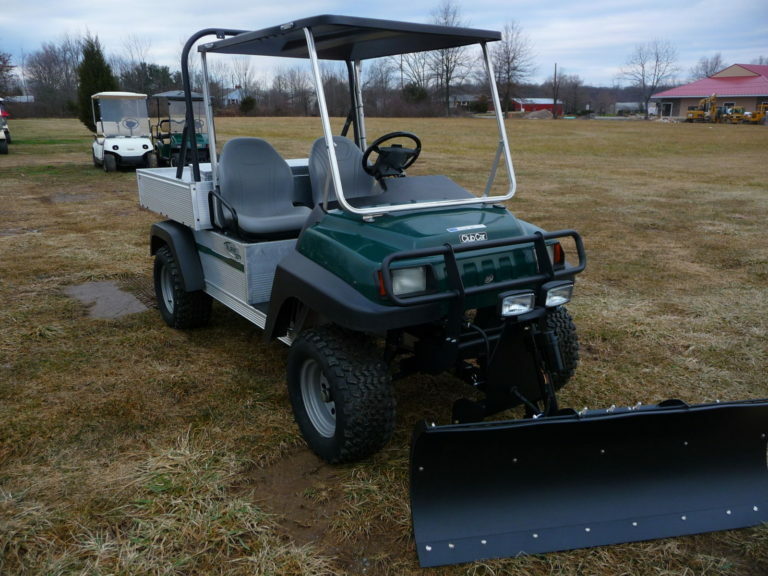 These are great for smaller communities, golf courses, and even your home estate.